Over the past five years there has been a sharp reduction in the number of pets being euthanased in Australia. There’s been a wonderful shift in the mindset of many policy makers and institutions, towards humane, research- backed strategies – and it’s all thanks to advocacy by organisations like ours. But there are still urgent issues at stake: more than 100,000 treatable and adoptable dogs and cats are killed every year in Australia. They could be saved with the right knowledge, the right strategies and the right actions. Not only is the national euthanasia rate still high, but improvements vary from state to state, pound to pound, and shelter to shelter. For example, NSW kills double the number of dogs per 1,000 residents as Victoria does, with some welfare agencies euthanasing more than twice as many as their counterparts in other states. The main reason this happens is that agencies, shelters and pounds are applying out-of- date policies that don’t match the current research. There is clearly a lot to be done – and that’s why we need your help. By making a donation today, you’d be helping us save thousands of lives. At The Australian Pet Welfare Foundation, our mission is to improve the health and welfare of pets. We conduct cutting-edge research that creates new knowledge, and we share that information with the community, shelters and pounds, state and local governments and veterinarians, to create change and save lives. We are lobbying hard to get governments to ban discrimination against pet owners in rental accommodation. 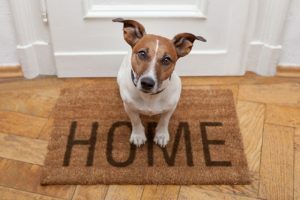 Only 4% of Australian rental properties allow pets – making it almost impossible for pet-owning tenants to find a home. For people like Jane, this can have devastating consequences. When she was unable to find any accommodation that allowed her two dogs, she faced an impossible choice: to part with her beloved friends, or to become homeless and live in her car. 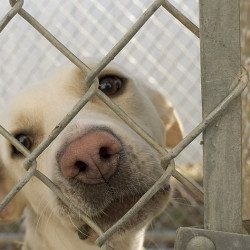 Research led by our Emeritus Professor Jacquie Rand, shows that 20,000 dogs and cats are euthanased in shelters and pounds in Australia each year because their owners could not find suitable rental accommodation. With your support, we can change this. The research shows that discrimination against pet owners by landlords and real-estate agencies is totally unfounded. In fact, pet owners stay longer, pay more rent and do no more damage than non-pet owners – while people with children cause on average $150 more damage to rental property than people without children. It’s illegal to discriminate against tenants with children, but it’s another story for pet owners. This is why we’ve become an influential voice in Victoria’s state government review of renting laws. Public opinion shapes policy – and we’re here to tell governments that no-pet clauses in rental agreements destroy the lives of both people and pets. Another of our goals is to keep lost pets out of shelters and pounds where, in many states, unidentified lost pets can be euthanased after just 72 hours. All too often, people like Sarah face the heartbreaking loss of a pet. She was distraught when she lost her elderly cat Merlin, who was sick and urgently needed regular medicine. She thought he would be returned quickly because of his microchip – but what she didn’t know was that he was still registered to the adoption agency she’d got him from 15 years earlier. It was only by luck that the agency was able to track Sarah down through adoption records, just in time to save his life. Another day, and she’d have lost Merlin for ever. According to research gathered by the Australian Pet Welfare Foundation, it’s vital that owners make sure their pets are not only microchipped, with up-to- date contact details on record – but are also wearing a collar and ID tag with their owners’ correct phone numbers. We encourage governments and welfare agencies to sponsor programs which increase the number of pets with correct owner identification, and help pet owners keep their beloved pets safe. Please donate today, to help us spread this knowledge and bring every pet back home quickly. By educating the public, government and welfare agencies we turn every individual into an agent for change. This is just one of the reasons our work is so effective. 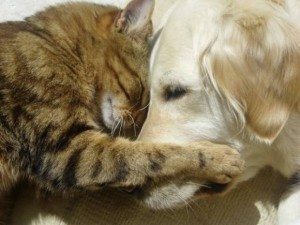 Please help bring hope to thousands of homeless pets. Become our partner and donate now.